February 2011 Horoscope Scorpio, free Monthly Horoscope for February 2011 and Scorpio Astrology Forecast for the month ahead. 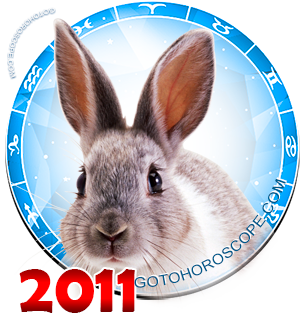 Scorpio (the Scorpion) certainly will be a favourite of the year of White Metal Rabbit 2011, but it doesn't mean that he/she will get favourable opportunities and have prosperous moments only. It goes without saying that Scorpio will need self-possession, abilities of prompt response to unexpected situations and of taking strong stand against the partners and colleagues. From the very beginning of the month there will be the situations which will demand drastic solutions, and Scorpio must be ready for active choice which may turn out an important event for his/her future. 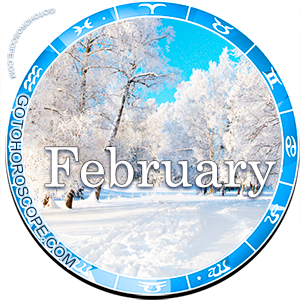 Most of February time Scorpio will spend on contact making with partners, he/she will make the acquaintance and communicate with other people actively. 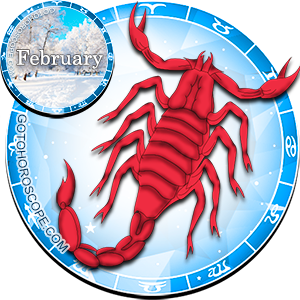 Scorpio-office worker will be engaged in the work connected with agitation, advertising campaigns, social events organization on the direct boss' task. Communication will become Scorpio's base for many things and actions, that's why conflicts and confrontations are possible in such infirm and changeable sphere as colleagues and partners relations. They will have been resolved only by the end of February, but it will be possible only with active Scorpio's involvement in peacemaking process. The February financial sphere will be stable more or less, but the planetary unit just wants to warn about the necessity to do business rationally, without spending money on the luxuries and entertainments, because difficult business, which will require financial injections, is waiting ahead. If Scorpio is busy with activities intended for real estate operations or investment business, the end of February will bring the stable inflows of sizable profit into Scorpio's budget. But in the third February decade Scorpio should mind the hasty investments to avoid risks of considerable part of savings loss. The Scorpio's ambitions may become a source of domestic altercations, and by an unlucky train of events these altercations may lead to the complete break-off with a beloved person. Scorpio will have to manage his/her haughty manners and to think more of partner's feelings and wishes, than of his/her own. Energy and activeness should be put on the domestic cares, which are waiting for it. In February Scorpio may start redecoration works or help to solve relatives' money problems.